The most popular reasons for visiting Tenerife are the beautiful year-round weather, soft sand beaches, exhilarating landscape including Mount Teide, the third highest volcano in the world, and being able to relax in this natural paradise. A stay at Club La Costa at Paradise lets visitors enjoy a relaxing luxury resort experience at any time. Club La Costa at Paradise Resort amenities like an outdoor pool, hot tub, children's activities, private balconies with a table, four chairs and two sun loungers, make your stay enjoyable. Nearby activities like golf and a beautiful beach with all its water sport offerings make this a spot to enjoy reconnecting with family and friends. Visitors also find snack bars, restaurants, a convenience store and a supermarket near the resort. Everyone will love scenery and activities like the beautiful harbor, breathtaking gardens, bird sanctuaries, horseback riding, dolphin and whale watching excursions and island tours. Whale and dolphin watchers will discover over 26 species, including blue whales, killer whales, dolphins, pilot whales and baleen whales. There are so many experiences to enjoy on Tenerife that time may run out before you get to try them all! The option to buy a Club La Costa timeshare in Tenerife is attractive for nature lovers and for lovers of exclusive resort stays. 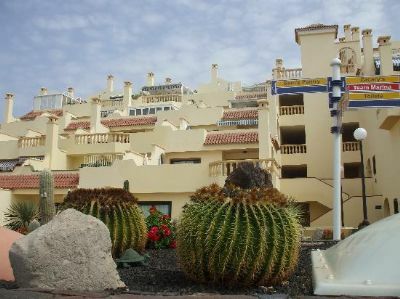 Enjoy shopping, restaurants, nearby shows, or have fun at theme parks, work on your golf game, or climb Mount Teide and walk on volcanic fields, enjoying the diverse landscape. 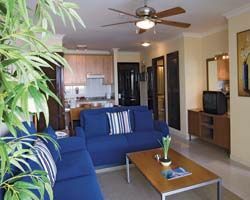 Once you've tired yourself out with adventures, return to your resort with its spacious accommodations, fully stocked kitchen including full size refrigerator, and conveniences like an iron, hair dryer and ceiling fans. Lounge room, dining area and separate bedroom give you the feeling of your own vacation condo. 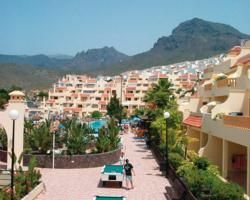 The chance to buy a Tenerife timeshare at Club La Costa at Paradise won't last long, so it's recommended to take advantage of opportunities when they come up. Contact Club La Costa at Paradise Specialist Today!